With so many different colors to choose from, it seems like choosing lipstick should be a no-brainer. Yet sometimes having such a wide selection can be frustrating. Colors that look great in the store can look awful when you actually put them on at home. The best lipstick for your tone will depend on your skin tone, your personal sense of style, and the shape of your lips. Using these lipstick tips as a guide, you can try out the latest trends while still staying true to your coloring. Lipstick can completely transform your face if you know how to choose and apply it. If you choose the wrong base, your skin tone may clash with the lipstick shade. Red and pink shades can be a good match with pale or rosy skin, while brown and warm red shades are better if you have yellow undertones. If you are very tan or have a darker complexion, you might want to think about true pinks, and those with very fair skin can benefit from the warmth and brightness of an orangey red. It might take some experimentation to find the best shade that matches your skin tone and personality. You could decide to purchase several different shades at first, and then combine them to find the best shade for your needs. Reds and browns tend to mix well together, for example. Even if you have thin lips, you can find a shade that manages to plump them up and give you the full, pouty look that can change your appearance dramatically. When going about choosing lipstick, you'll want to think about the type of product that could work the best for you. 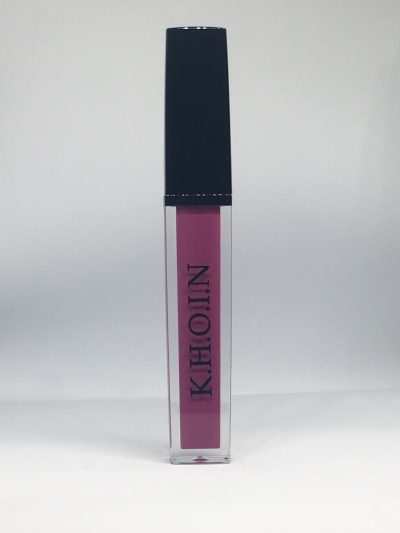 Lip gloss is a good choice if you want to add moisture and sheen to your lips, because it can be shiny or sparkly depending on the shade. A lip stain can give a more dramatic appearance. If you tend to wear black or all muted colors, you might want to choose a matte lipstick or lip stain that draws more attention to your face, in a deep berry or glossy pink shade. If you find that choosing lipstick is easy but applying lipstick is the difficult part, you are not alone. Many women accidentally go out of their lip line or have difficulty keeping their colors in place. Lip liner and a lip balm primer can help keep your color in place all day long. Choosing a lipstick with an SPF of 15 will help protect lips from the sun, and you can top this with a lip gloss for added shine and glamour.